I don’t do a lot of Samuel Adams beers because they are easily found and a “known” brewery but I had to post this one. 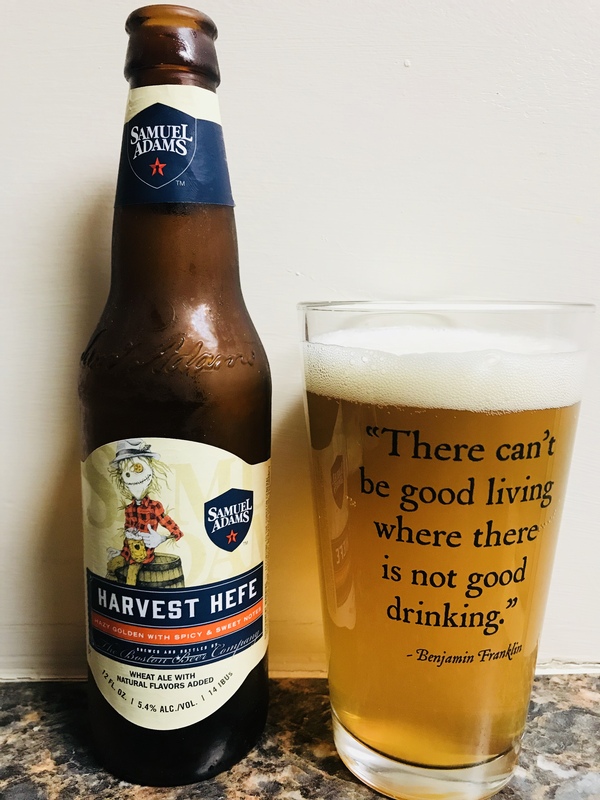 I love seasonal beers and Sam Adams has just produced a great “Harvest” beer. Harvest Hefe has a light color for a “fall” beer, and a unique taste. It adds cinnamon and nutmeg for a spicy and sweet taste, not overpowering but strong enough to stand out. It’s got a 5.4% alc content which is on the light side for me but it’s taste is very enjoyable to drink all night. 4.5 stars, I really dig this beer!